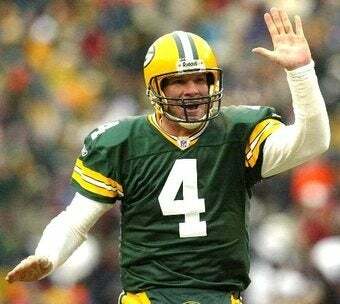 Non-retired football star Brett Favre has called in Dr. Andrews and will (reportedly!) have surgery on his bicep next week—which is not something a 39-year-old typically does unless he wants to play more professional football. The St. Paul Pioneer-Press is saying that Birmingham's own James Andrews will slice and dice Favre's bicep this week, leading to a six-to-eight week rehab and "if all goes well" ... hello, Minnesota! Favre missed a scheduled appointment with Andrews last week. Why? Because he's too busy trying to orchestrate another NFL comeback without going through any normal channels, attending a single pre-season practice, or giving one honest answer to anyone, especially Rachel Nichols. Enjoy, Viking fans!